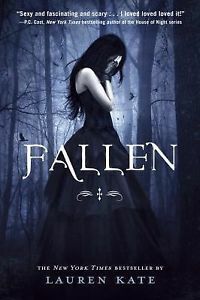 Mysterious, exciting, fascinating, and romantic are just a few words I could use to describe the first book in the Fallen series by Lauren Kate. Fallen takes a forbidden love farther than ever before. Much of the plot is very serious, like the main male character Daniel, but it has its humorous and quirky moments, like another character, Arriane. The main protagonist, Luce, grows as you move through the book and finds herself making the best of a bad situation. From the first moment she seen Daniel she knew there was something about him and she would do whatever it took to find out what. Kate’s descriptiveness provides much for one’s imagination to actually see yourself in the chapters of the book. From page one I was captivated and couldn’t turn the pages fast enough, and before I knew it I had finished the book and ached for the next. This is a must read for anyone who loves a good book.